Learn how to fly these fragile wood and fabric biplanes from the collection of the Canada Aviation and Space Museum. Follow in the ghostly footsteps of the lone aviator, the knight of the air, riding into battle, banners flying. Discover the reality of this dangerous job, fraught with peril, in which young men with only a few hours of training were sent into the skies, often alone — frequently never to return. 100 years ago Canadian youth took on the challenge of mastering one of the newest emerging technology innovations of their time. 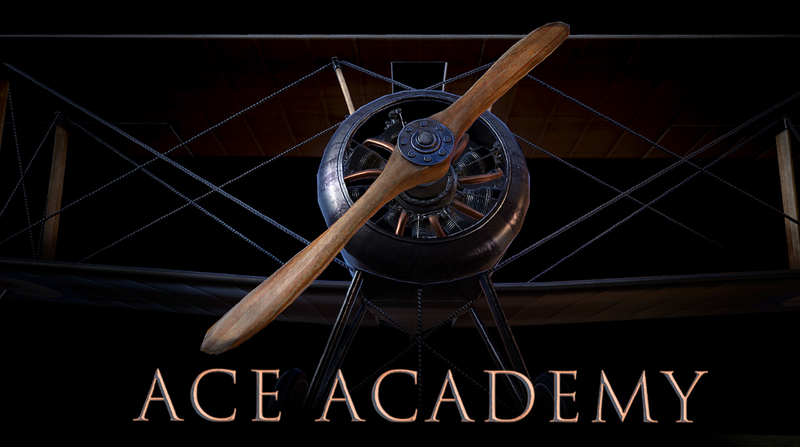 For a cause... Join the journey from flight school to mastery of skies at the Ace Academy! Video: Children playing game on mobile devices. Supers: Live action characters guide you through your First World War flight training. Interact with detailed 3D models of the Museum's First World War aircraft. Explore the Museum's archival imagery and technical drawings. Discover the Museum's hidden collection of artifacts not currently on display. Take command of a First World War biplane in your first-ever solo-flight. Discover the reality of a dangeorus job, fraught with peril, young men with only a few hours of training were sent into the skies, often alone... frequently never to return. Download now and enlist the Canada Aviation and Space Museum's Ace Academy!